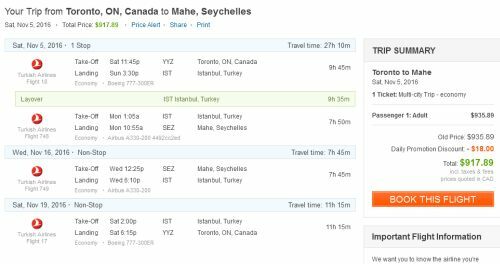 Turkish Airlines are showing some interesting price drops from Toronto to the Seychelles. It's interesting because flights to the Seychelles typically do not go on sale, and the best prices are usually a minimum of around $1700 roundtrip. 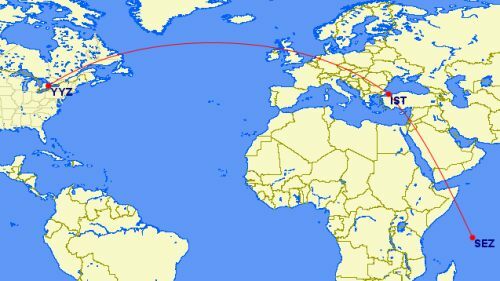 It's not uncommon to pay over $2000 for these same flights with Turkish Airlines. With this deal you fly from Toronto to the Seychelles (spend time there), and then the Seychelles to Istanbul (spend time there), and then fly home to Toronto, all for about half of what it normally costs to visit the Seychelles alone. It's also possible to just book a normal roundtrip flight to the Seychelles, without the extended stay in Turkey, although it would then require a long stopover in Istanbul (nearly a full day) on the way back. The Seychelles are a beautiful island-country about 1500km off the Eastern coast of Africa. NOTE: These are also two of the rainiest months of the year for the Seychelles. However, if Seychelles.org is to be believed, 'rain showers tend to be short, lasting just a few hours rather than days at a time'. The average high is still around 28-29 C.
You can also experiment with the date in the middle, for more or less time in Istanbul. The flights have a 20 hour layover in Istanbul on the way back. 4. Click through to whichever site is showing the cheapest price. toronto, yyz, flight deals, europe, southern europe, eastern europe, eurasia, southeastern europe, ist, eastern africa, turkish airlines, istanbul turkey, mahe, seychelles and sez. 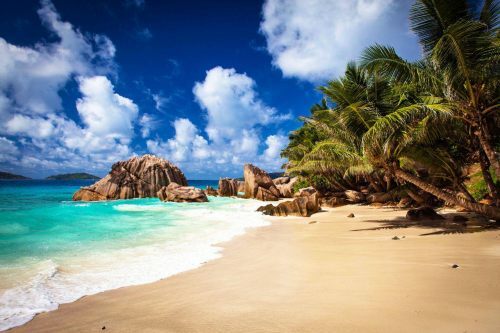 One Response to "2 in 1 trip: Toronto to the Seychelles and Turkey - $917 CAD roundtrip including taxes"
Looks like a great deal but a long time to stay in Seychelles. Is there anything to do around there? Any way we can do a week in Istanbul and a week in Seychelles?